Noor Salem is an author, speaker, and a certified holistic health coach originally from North Carolina. After earning a Bachelor’s in Communications from the University of Michigan within two years, she successfully received her graduate certification as a holistic health coach from the Institute for Integrative Nutrition, the world’s largest educational institution for nutrition. 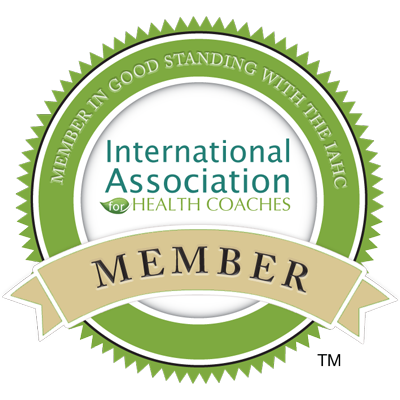 She is also a member of the International Association of Health Coaches. Noor works as a holistic health coach as well as a columnist for several outlets, such as The Muslim Observer, and a freelance researcher and writer for numerous health institutes and academics. Her works include the sought-out book, "Sunnah Superfoods," a culmination of life-changing recipes and remedies, with a foreword by Dr. Waleed Basyouni, the second edition of which launched in 2018. She works with her clients in better understanding their bodies and healing with natural food. She has done extensive research on medicine and food in the Qur’an and Sunnah of the Prophet (ﷺ), and has found treasures of gems she now shares with her clients and conference attendees alike. Her education has equipped her with extensive knowledge in holistic nutrition, health coaching, and preventive health. Drawing on these skills and her knowledge of different dietary theories, she work with clients to help them make lifestyle changes that produce real and lasting results. ​Her most recent hobbies include photography, hiking, and spoken word. If you’d like to host a workshop for parents, children, or young adults, attempt one-on-one coaching, or for more information, visit the contact page. ​Part of our mission includes guiding you to better time management, and acquiring the skills and habits to home cooked meals. Whether it's squeezing a fresh cup of orange-ginger juice, having energy while fasting, or preparing a kids and husband approved dinner, we are here to help. End dieting one and for all. While modern scientific research keeps changing, the treasures and gems I share from the Qur'an and Sunnah develop lasting results. Whether you need to get rid of your stomach discomfort, frequent headaches, or desire to lose weight- I could help. Our mission at Holistic Noortrition is to aid you on your journey to better health-without feeling hungry, cranky, and deprived of your comfort foods. We believe that living healthy is a lifestyle, easy to achieve with certain tweaks in habits. Our objective is to guide you to acquire optimum health, energy, productivity, and mood.